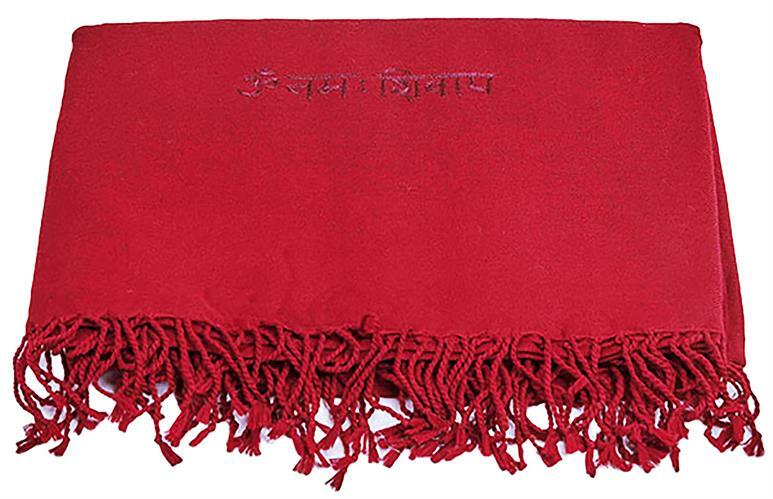 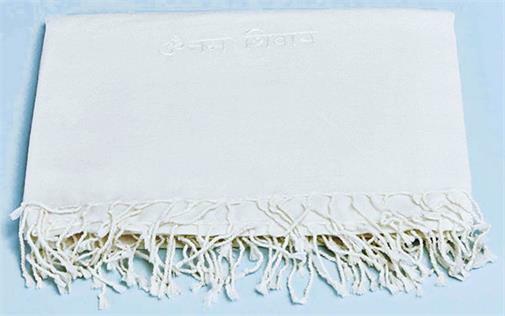 A fine, soft woolen shawl, embroidered with the mantra Om Namah Shivaya. 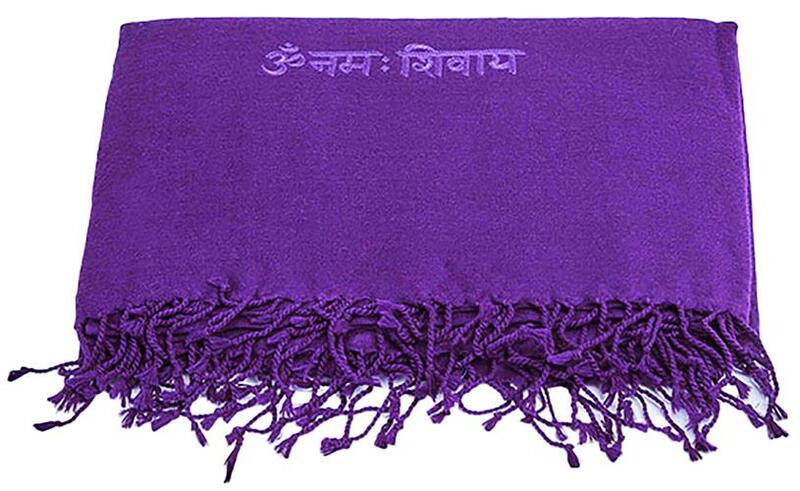 Suitable for meditation. 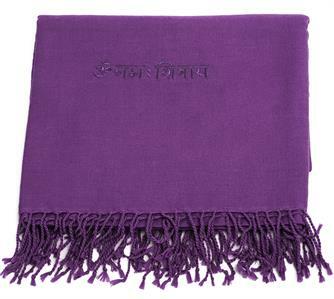 Can be used comfortably during warmer weather.